The Marvel Legends Marvel Cinematic Universe 10th Anniversary Iron Man 3-Pack was found in Langly, British Columbia, Canada. Thanks to Instagram user Toyshiz, we have a look at the set on shelves. It’s priced at $99.99 Canadian, which is about $75 USD. The set is based on characters seen in Iron Man 3, and contains Pepper Potts, The Mandarin and the Iron Man Mark XXII Armor (aka the Hot Rod Armor). A swap out arm and blast effect is included for Pepper Potts. Click the banner image for the full photo. 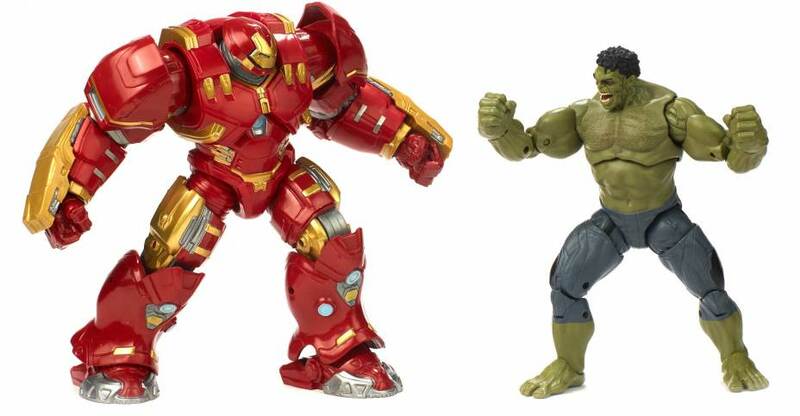 Hasbro sent out official photos of their Marvel Legends 6″ scale figures for the Marvel The First 10 Years figures. No additional details or press release was provided with these. 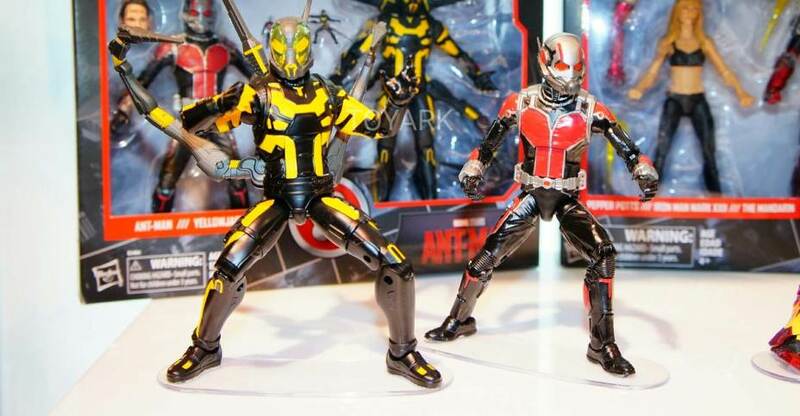 Hot Toys has loaded up their own photo from ACGHK 2015. 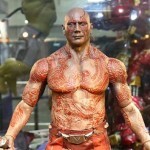 We finally have a new look at their Guardians of the Galaxy Drax The Destroyer 1/6 Scale Figure. We haven’t see this guy on display in a while, so it’s good to know he’s still being released. They also have a Predator 2 – Elder Predator 2.0 Figure on display. There’s also a few clearer looks at a few items we’ve seen already. Check out the above figures and much more by reading on. Here is a bunch of photos showing the Hot Toys Display from ACGHK 2015. It includes a look at some life size Star Wars: The Force Awakens Stormtroopers on display. There are also more photos of the massive Star Wars 1/6 Scale Millennium Falcon, Ant Man figures, Terminator, and More. Check out the photos, courtesy of NonSoloHobby and One Sixth Republic, after the jump. Check out the latest Iron Man update from Hot Toys. They have revealed a new Iron Man 3 Pepper Potts and Mark IX Armor 1/6 Scale Figure Set. A bit unexpected, but good to see them doing a character other than Tony Stark from the Iron Man film series. 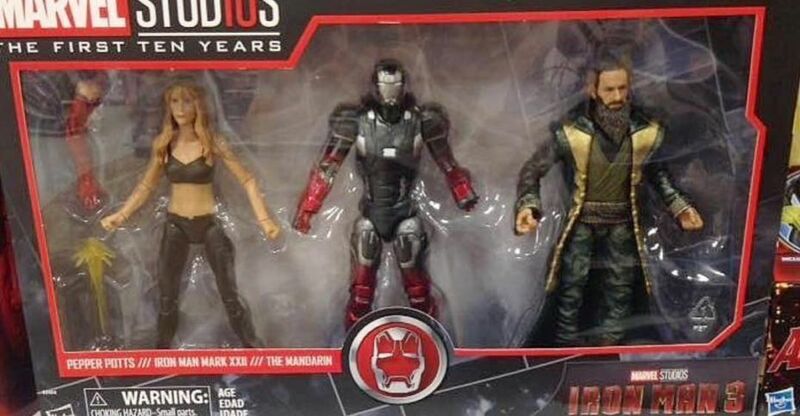 The set includes a Pepper Potts figure based on Gwenyth Paltrow’s likeness. It also includes a fully features Mark IX Iron Man Armor, which features swappable hands, armor pieces, LED light up functions and a swappable open helmet showing Pepper’s likeness. For those just looking to grab Pepper Potts, then you’ll be happy to hear that Hot Toys will also release her as a stand alone figure as well. She will include a swappable Mark IX armored arm, hands, shoes and a stand. For all of the photos and much, much more info, read on. Hot Toys has posted images and info for their upcoming Iron Man 3 Cosbaby Series 2. The first series of Iron Man Cosbaby Figures gave us a Tony Stark along with Iron Man Armors Mark I-VII. the new series gives us a new Tony Stark, as well as the Mark XLII, War Machine and Iron Patriot. See more from hot Toys below and read on to check out the photos. Hot Toys’ varieties of Iron Man Collectibles have been very popular and sought after by fans, and now Hot Toys is happy to present the Series 2 of Iron Man 3 Cosbaby (S). This new series will feature Mark XLII, Mark XLII (Battle Damaged Version), Mark XLII (Pepper Potts Version), Tony Stark, Iron Patriot, and War Machine Mark II in baby form. Each Cosbaby will include a special diorama base and stands approximately 3 inches/ 7cm tall. 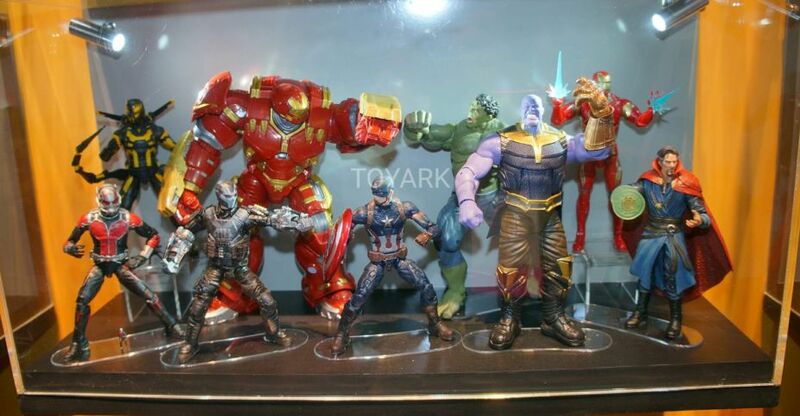 The Mark XLII, Mark XLII (Battle Damaged Version), Mark XLII (Pepper Potts Version), and Tony Stark will come with a Tony’s workshop circular stage diorama while Iron Patriot and War Machine Mark II will come with a flight landing diorama.